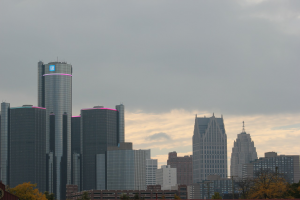 Three years after concluding the largest municipal bankruptcy in American history, Detroit may be released next spring from the oversight of a state financial review commission (FRC). If an independent audit confirms that Detroit has balanced its budget for the third year in a row, the city will no longer have to win FRC approval of its budget, contracts, labor agreements and borrowing – another step forward after decades of economic, financial and social decline. Last month, PA Times Online published the first part of an interview with John Hill, Detroit’s chief financial officer, to learn about the motor city’s exit from bankruptcy, and its promising but tenuous financial recovery. This second and final article summarizing the interview with Mr. Hill not only describes how Detroit leaders are trying to sustain the city’s progress, but also offers broader lessons on how city leaders can avoid a fiscal crisis. On the tension between cutting costs and imposing austerity during a financial crisis, and the need to rebuild services and infrastructure that have decayed: We decided that a lot of the upside in revenue as a result of economic development and the better economy would not be put in our forecasts. Our revenue estimates are, by design, conservative. Therefore, we have built-in budget surpluses, if revenues are rising. The plan of adjustment (the court-approved plan that settled Detroit bankruptcy case) allows the city to use surplus dollars to invest in capital and infrastructure. Detroit is using exit financing (financial recovery bonds approved in the plan of adjustment) as well as federal grants to make a huge investment in reducing blight. We’re also focusing on improving neighborhood amenities like parks and recreation, and are now investing in neighborhood corridors. On steps Detroit has taken to increase city tax collections: We know there are people who have apartments in the city but are not paying income taxes. We’re going out to the structures (to see who lives there). We’re also having the state process our income tax returns, which gives us greater ability to identify those who are filing in the state from Detroit addresses. Finally, legislation is pending in Lansing to allow suburban jurisdictions to withhold for Detroit income tax, which is a lot easier than going after the money later. On how city leaders can avoid the fiscal crises that plagued Detroit, Cleveland, New York, Washington and other cities: Leaders have to understand their financial future. We have a four-year budget, and we can’t do anything in the current budget that takes us out of balance (during that period). We’re also looking at a 10-year time horizon. Both D.C. and Detroit were borrowing in order to cover deficits, creating greater pressure in the out years. My advice is to always budget with a considerable cushion. Be very conservative on the revenue side. Plan to have the ability to get a revenue upside. You can’t commit all of your resources. On how the role of the big-city CFO has changed over time: I would say the CFO has become a resource that helps elected officials look into the future and make decisions now related to the future. Mayor Duggan is all about the future. My role is to help him take data and make proper strategic investments in the city. The CFO can also be the eyes and ears of the city about obstacles to getting things done – what will happen with federal grants, what will happen with infrastructure. The CFO needs to understand all of the risks, and make sure the city has strategies and plans in place if they happen. On how to protect the progress that Detroit has made: We can provide data that reflects the operations of government – not just accurate data, but timely and complete. If you spend time understanding the impact of budget drivers – for example, if we get all the data we need to project population growth – that helps us understand possible revenue growth. A lot of the economic data we have is regional, and we had to extrapolate it to the city. But the city doesn’t have the same economic base or level of revenue. We are working with local universities to create an economic forecasting unit to come up with Detroit-specific economic data. Time is never on your side if you need to make changes to your budget. Other advice for public administrators and academics: Never waste a crisis. Government tends to be a really incremental place. When there’s a crisis, you can make major improvements. I believe that having a lot of money hides inefficiencies. We don’t have excessive resources, so it really forces us to address inefficiency. Don’t led additional resources hide inefficiencies.